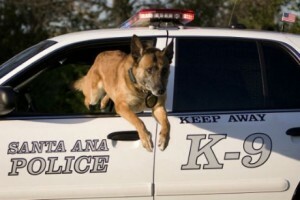 The Santa Ana Police Department will be hosting a Low Cost Pet Clinic on March 4, 2013, from 5:30 pm to 7:30 pm, at Godinez High School, in their parking area. SAPD Animal Services will also be selling and renewing pet licenses at this event. THE SERVICE WILL BEGIN AT 5:30 AND END AT 7:30 P.M. EL SERVICIO EMPESARA A LAS 5:30 DE LA TARDE, Y SE ACABARA A LAS 7:30 DE LA NOCHE. *THE CLINIC WILL BE SETTING UP IN THE PARKING AREA. LA CLINICA SE ESTACIONARA EN EL PARQUEADERO DE LA ESCUELA. *SAPD ANIMAL SERVICES, WILL BE SELLING/RENEWING CITY LICENSES. OFICIALES ESTARAN VENDIENDO Y RENOVANDO LAS LICENSIAS DE SU MASCOTA ES DIA TAMBIEN. The good news for sparky, it is time to get him neutered. Speaking of Sparky, Lomeli’s goons are posting on VOC using that handle again.